Placement : A buoyant economy, an appreciable involvement of the strong alumni network and the sincere efforts from the Placement Cell saw DoMS scale new heights in the Final Placement for the Class of 2011. The students were selected by reputed global firms and offered a plethora of profiles to choose from. Compared to the previous year, the average salary offered saw an increase of 12.80% while the highest salary offered went up by 30.83%. Recruiters had a favorable season at DoMS with companies commending DoMS students on their depth of knowledge, theoretical understanding, analytical skills and quick thinking. Years of unwavering relationships with companies like Avalon Consulting, Citibank, Crisil, HP, Nomura, Standard Chartered Operations, and Wipro are a testimony to the confidence the industry has in our students. 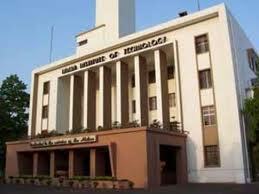 Campus:IIT Madras is located in the city of Chennai which is also the state capital of Tamilnadu, a southern state in India. Chennai is the fourth largest city in India and comparatively a new city, about 350 years old (1639). The city was formerly known as Madras and was renamed Chennai, which evolved from old name ‘Chennapatnam’. Chennai is a coastal city with the second largest beach in the world known as ‘Marina’ beach. 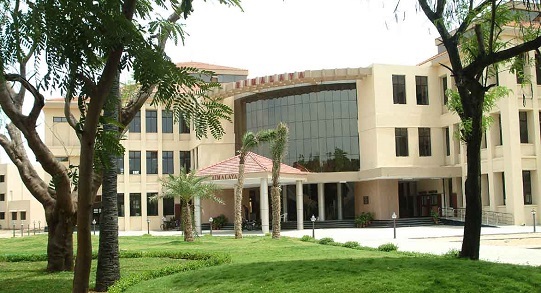 Central library:The Central Library is housed in a separate building and caters to the information needs of the institute faculty, students, staff, research institutions & industries. In addition, there are smaller libraries in each department, which house books borrowed from the main library for quick reference. It has around 2 million books covering all disciplines of science, engineering, technology, humanities & social sciences. The collection comprises printed documents such as books, reports, theses, standards, atlases, patents and journal back volumes. The non-book collections include material like micro fiche/film, audio/video cassettes and CD ROM discs. It has a separate collection of prescribed textbooks under ‘Book Bank’ for the exclusive use of students. The Central library currently subscribes to around 1,000 scholarly journals in sciences, engineering and humanities. Under the INDEST consortium, the library provides on-line access to a large number of full-text journal databases from various publishers. These e-journals are accessible on intranet to campus users only.The library provides various services for its members such as – Lending of books and journal back volumes, reservation of books, inter-library loan, document delivery, photocopying, DTP & offset printing, CDROM and Internet services & video screening. All the library activities are computerized, including bar-coded ID cards and separate On-line Public Access Catalogue (OPAC) terminals for searching books in the library. Hostel:The Indian Institute of Technology is a residential institute and provides accommodation to students wishing to reside in the hostels. Each hostel in the institute is an independent unit in respect to its internal administration under the overall supervision of the Council of Wardens and the Hostel Management. The hostel is administered by a Warden appointed by the Director and he/she is assisted by an Asst. Warden in all matters relating to the hostel.Each hostel also has a Hostel Council which is an advisory body comprising the Warden of the Hostel (as its Chairman), the Asst. Warden and the elected student secretaries as its members. The Hostel Council plans the students’ activities for the year, prepares the budget for sports, recreational and other social activities of the students through the respective student secretaries and is responsible for the running of individual messes with the help of the mess committee. The Hostel Office is located within the hostel premises. Attached to each office are an Office Manager and an Attender who assist the Warden in matters related to the various activities of the hostel. The Office maintains all the files, registers, records, ledgers, account books, suppliers’ bills, payment registers etc., pertaining to the hostel residents, mess and the employees. The Hostel Office is open on all weekdays.